We, the Level Chinese Team, are a dedicated group that truly believes that learners of all ages can become highly proficient in the Chinese Language. We believe literacy is the key component for students to become skilled in Chinese. Up till now, there has not been sufficient and appropriate resources to support teachers. We wanted to do better, so we formed this social enterprise, and created our literacy focused curriculum and formative assessment target, for K-12 learners. Pauline Shuen is a high tech entrepreneur who has been part of multiple successful startups that have sold for over total of $1.5 billion. She is also a parent of a 8th and a 6th grader who both have been in Chinese Immersion since Kindergarten. As a native Chinese speaker who was born and raised in Hong Kong, Pauline has first hand experience in seeing the difference between her kids learning Chinese as a second language vs. learning Chinese as a first language. She has served as a board member at the International School of the Peninsula which has a 19 year Chinese Immersion language program. After a successful career in high tech, Pauline left her position as a Vice President of Engineering at Cisco Systems and is now pursuing development of Chinese curriculum resources. Jingyao has been the architect of everything Level Chinese since the beginning. She led the team to define text complexity, reading and grammar standards as well as to create accurate assessments to determine student mastery of our standards. She also served as one of our key editors for our non fiction leveled book series. Jingyao frequently serves as the subject matter expert working with our partners, for example, Avant Assessment and presenting at conferences. 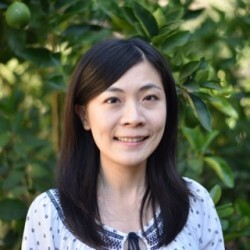 Jingyao has over 10 years of experience teaching in Chinese Immersion schools in the US and is currently teaching middle school at ISTP, a Mandarin Immersion school in CA. Previous to that, Jingyao was a Chinese language teacher for 7th-9th grades in China. She has a MA in Education (Counseling and Guidance). Ya-Ching has over eight years of experience teaching at Chinese immersion schools and colleges in the US. She is currently a Chinese teacher in the upper elementary (3rd – 5th grade) at ISTP. Prior to that, she was a 3rd grade teacher at Yinghua Academy. She was the instructional lead for the STARTALK student summer program at Yinghua. She also developed curriculum for K-4th grade and created a performance-based student assessment program. She was a cooperating teacher with the University of Minnesota where she trained, mentored and taught assessment techniques to student teachers. Ya-Ching has a MSED in Childhood Multicultural Education from SUNY Geneseo. She also completed graduate coursework in Chinese Pedagogy at Ohio State University. Cindy Chiang is the Chinese Academic Dean at the International School of the Peninsula (ISTP) in Palo Alto, California. She started her career teaching in Elementary and Junior High Schools in Taiwan. In 2010, she joined ISTP’s Chinese immersion program teaching 3th to 6th grades. Because of her passion and vision toward teaching, Cindy was selected to lead the faculty team as the Chinese Program Curriculum Coordinator in 2014. Starting 2017, Cindy has taken on a larger leadership role as the Chinese Academic Dean. She is leading the faculty team to restructure the curriculum based on the International Baccalaureate (IB) framework and steering the Chinese Program towards continued success in the future. In addition to her work at ISTP, Cindy was also one of the founding members of Level Chinese and has been serving as a content specialist and an advisor to develop Level Chinese curriculum and assessment. Catherine was the original founding teacher of the Cupertino Language Immersion Program (CLIP) in 1998. Starting in the 1998 with a single Kindergarten class, CLIP has grown to a full primary school immersion program spanning grades K-5, and at Miller Middle School for grades 6-8. Since CLIP is one of the oldest Chinese Immersion programs in the country, Catherine has been a true pioneer in Chinese Immersion education in the US. She created the Kindergarten and 1st grade Chinese curricula from scratch. Throughout the past 16 years, Catherine has been instrumental in developing many different aspects of CLIP. She served as a teacher representative on the strategic planning committee. As a resource teacher, Catherine worked closely with the Director of Instruction to provide CLIP teachers professional development opportunities. Most recently, Catherine is one of a select group of teachers to serve on the CLIP Chinese benchmark panel to develop Chinese benchmarks to align with the Common Core State Standards (CCSS). She was also the recipient of 2004 Asian Hero Award from Santa Clara County, District 5. While continuing to teach at CLIP, Catherine has developed Level Chinese curriculum specializing in K-2 grades. 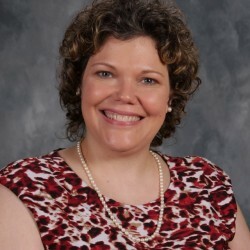 Lisa Podbilski is the World Language Department Chair and Upper School Chinese teacher at Louisville Collegiate School in Louisville, Kentucky. Since 2007, she has presented at national, regional and state level conferences. Currently in her 16th year of teaching Chinese, she is the co-chair of the AP Chinese Language and Culture Development Committee. She has a B.A. in East Asian Language and Culture from Michigan State University and is currently working towards her M.A. in Chinese Studies from Valparaiso University. Lisa has served as president of the Florida Chinese Teachers Association; served as a member of the Board of Directors for the Chinese Language Association of Elementary-Secondary Schools (CLASS); received the Teacher of the Year award from the Southern Conference on Language Teaching (SCOLT), Florida Foreign Language Association (FFLA), and Florida Chinese Teacher Association (FCTA) respectively. Xinyi Xu currently serves as the Director of Lower School at Yu Ming Charter School. Prior to her role as the Chinese Program Coordinator at Yu Ming, Xinyi spent 7 years in the Chinese immersion classroom in Michigan and California, teaching Kindergarten, Grade 2 and Grade 3. Xinyi holds a Bachelor’s Degree in Early Childhood Education from East China Normal University in Shanghai (2009) and a Master’s degree in Teaching and Curriculum from Michigan State University (2011). She holds a clear California Elementary Multiple Subjects and K-12 Chinese Language Teaching Credential with Bilingual Authorization. Currently, Xinyi is enrolled in the Instructional Leadership Academy and expects to get her Administrative Services Credential in 2018. Xinyi actively participates in national Chinese Immersion projects, including CELIN, Mandarin Institute, and STARTALK programs. She is also a regular presenter at state and national conferences on topics of Chinese immersion curriculum, instruction, and assessment. 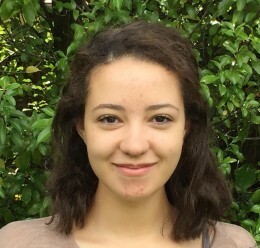 Armelle is an international student from France who recently moved to California to pursue an undergraduate degree in Biology at Stanford University. Armelle has always been passionate about art and music, as well as teaching; and is part of a campus organization to teach children how to play the piano at a school in Redwood City. Armelle also started learning Chinese in elementary school in Singapore and hopes to pick-up Chinese as a second language again during her time at Stanford.